An air swept mill for fine grinding, the Micro-Max is a screenless mill capable of producing a wide range of particle sizes for diverse industries. 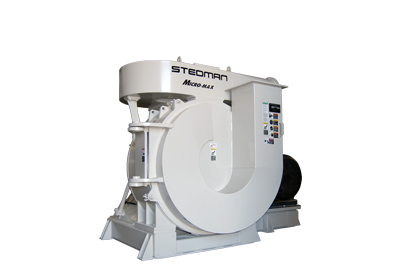 The Stedman Micro-Max is capable of grinding & drying in one pass with the standard heat or cryogenic fluid injection ports. If it can be crushed, ground, pulverized or mixed, chances are we’ve done it in our Testing and Toll Processing Facility. Contact us today to schedule your test in our full size Micro-Max fine grinder. To learn more about what to expect from testing, read this article that ran in POWDER BULK ENGINEERING magazine.